Archived: How did Sportsbook’s make Money in Week 12 or did they? Notable bets during the Thanksgiving Weekend in both college & NFL Football. How did the Sportsbook’s make out. Well, for one thing, they needed the Patriots to cover against the Jets & got Lucky – very Lucky! The gluttony, however, doesn’t curtail the gambling too much. A comparable amount of money was bet on Washington-Dallas and Atlanta-New Orleans, the two late games on Thursday, as is typically bet on a Monday night game, which can be upward of $1 million at some books. People were still finding time to place their bets, evidently. A lot of that money was on the right side this Thanksgiving, as all three favorites — the Cowboys, Saints and Detroit Lions — covered the spread. The results left many parlays like leftovers into the weekend and ended up producing mixed results for bettors and the books. • The New England Patriots opened as low as 7.5-point favorites over the New York Jets and closed as high as -13 in Las Vegas. Thirty minutes prior to kickoff, 97 percent of the money bet on the game’s point spread was on the Patriots at William Hill US sportsbooks. 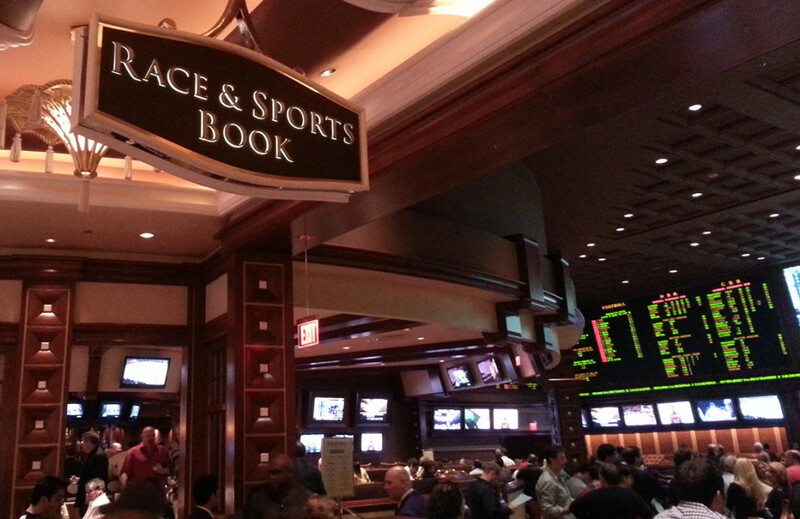 • At Caesars Palace sportsbooks in Nevada, for every one bet on the underdog Jets, there were 10 on the Patriots. Head of risk Jeff Davis said the money wagered on the game was even more lopsided on New England. • The Patriots covered the spread in a 27-13 win. Late in the fourth quarter, Jets quarterback Josh McCown led a 13-play drive down to the New England 4-yard line, but he threw two incomplete passes and New York turned the ball over on downs. • A bettor at MGM placed an $80,000 bet on the Cleveland Browns and “high-five-figure” bets on the 49ers, Philadelphia Eagles, Jacksonville Jaguars and Jets. • The SuperBook took an $84,000 bet on the Tampa Bay Buccaneers -3 (-120) when the line was first posted on the board last Sunday. The Bucs beat San Francisco 27-9. • A VIP customer at the SuperBook placed a $55,000 bet on the Green Bay Packers +3.5 against the Minnesota Vikings in the prime-time game. 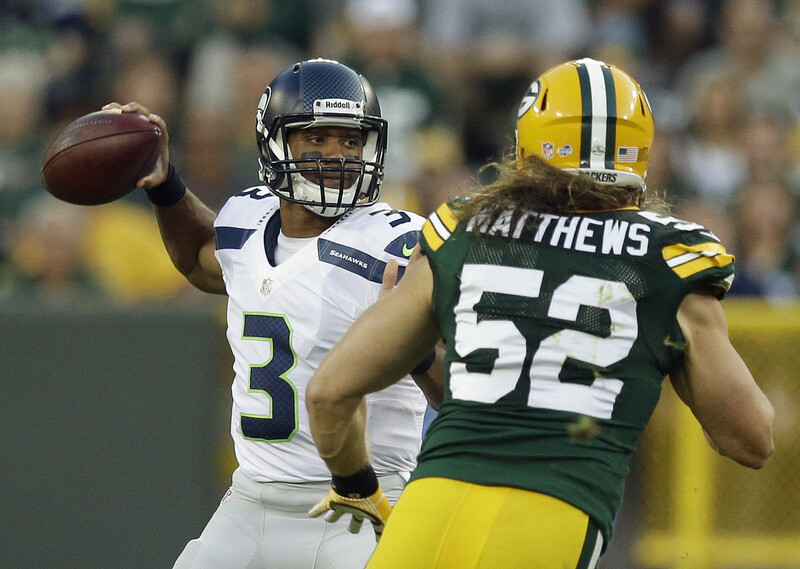 “If we win the Vikings, we’ll probably break even for the day,” Salmons said prior to kickoff. • Notre Dame-USC “was probably our biggest college football decision of the season to date,” the SuperBook’s Murray said. • The Notre Dame-USC game produced the biggest decision on Saturday for Caesars Palace sportsbooks in Nevada, where 91 percent of the money wagered on the game was on the Fighting Irish, both on the point spread (ND -14) and money-line (ND -650). Notre Dame won but failed to cover the spread in a 24-17 victory. • Las Vegas sportsbook operator CG Technology took a $110,000 bet on Notre Dame -14. • The sportsbook at Hollywood Casino at Charles Town in West Virginia took a $40,000 bet on Notre Dame -12. 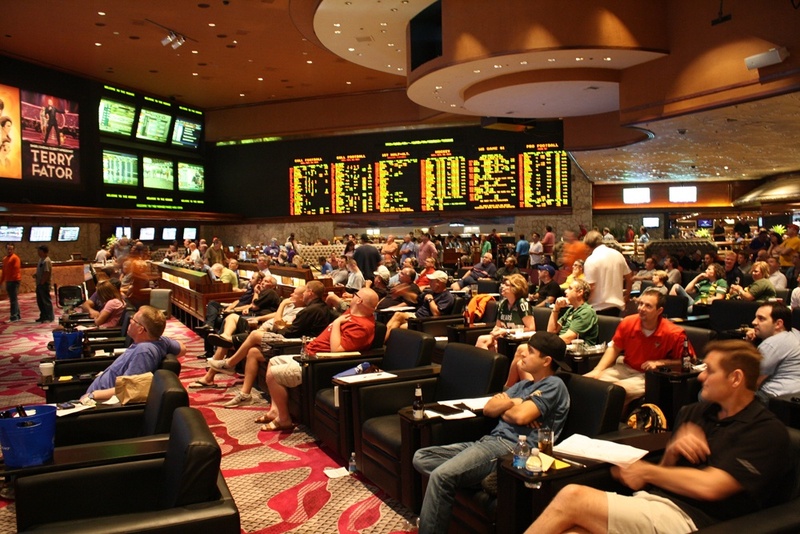 • A bettor at a CG Technology sportsbook hit four big bets on Friday. They bet $110,000 on Virginia Tech +5 and $50,000 on the Hokies on the money-line +170 against Virginia — and $143,000 on Washington +3 and $20,000 on the Huskies on the moneyline against Washington State. In total, they won over $300,000, as Virginia Tech beat the Cavaliers and the Huskies knocked off Washington State in a snowy Pac-12 battle. “That killed our Friday,” Simbal said. • A bettor at MGM placed a $100,000 bet on Nebraska +7.5 against Iowa and $90,000 on Houston +7 against Memphis. Nebraska covered the spread in a 31-28 loss, and Houston failed to cover in a 52-31 loss. • The largest season-win total bet at the SuperBook this year was on Oregon State under 2.5 to win $80,000. The bet came through Saturday when Oregon crushed the Beavers 55-15. Oregon State finished the season at 2-10. • Louisville finished the season 1-11 against the spread, the worst such mark since 2011, when Central Michigan also finished 1-11 ATS. The only game in which the Cardinals covered the spread was a 28-24 loss to Florida State. Louisville was a 5-point underdog. • A Philadelphia-based bettor has gone on a holiday spending spree at PropSwap, an online secondary market where sports bets that have already been placed are bought and sold. The unnamed bettor has purchased seven tickets on Alabama to win the national championship for a total of $2,931, each at odds of -200 or greater, and four tickets on Crimson Tide quarterback Tua Tagovailoa to win the Heisman Trophy at varying prices, including an $857 ticket at -600 odds purchased Saturday. • The SuperBook took a $30,000 bet on Alabama to win the national championship at -250 last week. If the Crimson Tide win the title, the bettor would win a net $12,000. Offshore Source on 37-13 ATS Winning Run Don't make a move on any game until you see what our Top offshore source is releasing. Currently on a 37-13 ATS BEST BET of the DAY WINNING RUN! Hottest LONGSHOT Horse Picks I’ve Had this Year! Today, tomorrow and this weekend I have very Special Horses running. 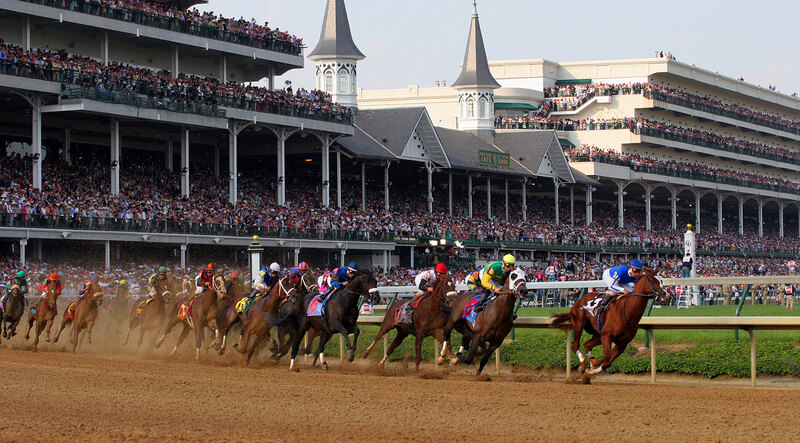 Horses that you would never think about betting because of the longshot odds. But the Value is there and the information I have on these horses is just as strong as the information I delivered to you once again the past few weekends! 2019 NFL Regular Season Schedule for all 32 teams 2019 NFL schedule release: Full matchups, prime-time games, dates and times for all 32 NFL teams..
Special 4 Day All Access – Click Here! Today’s SUPERLOCK of Day – Click Here! Ken Barnes: Final Four Best Bets! Jim Powers: 7-3 NBA Playoffs / 12-7 MLB Run! Al Merritt: 34-18-2 Overall Baseball! Tony Russo: 29-12-1 MLB / 29-14 Basketball! NEW: On Current 37-12 ATS Winning Run! Copyright © 2002 - 2017 TheGambler’sReport.com. All Rights Reserved. Designated trademarks and brands are the property of their respective owners.